APD Dumfries were unable to complete their important league game at Freuchie in the Scottish Championship on Saturday. 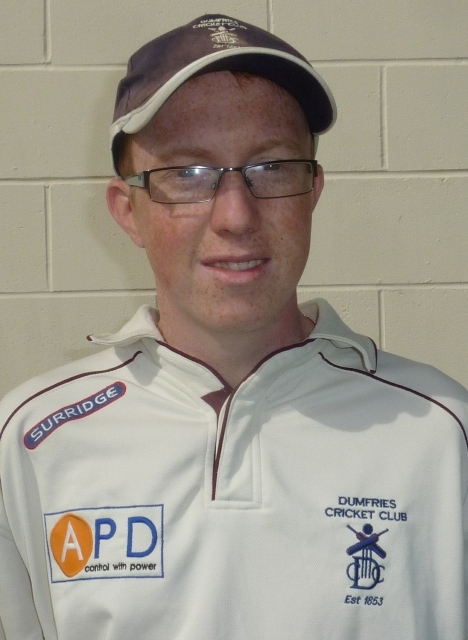 Freuchie scored 229 for 7 after a batting onslaught in the last ten overs rallied their total. Chris McCutcheon and Chad Breetzke each took two wickets. However the match was abandoned due to rain at that point without the Dumfries innings starting. Nevertheless second placed Dumfries have still secured their place in the top four play-offs to determine the title winners. It was a similar story for Site Electrical Nunholm at Langloan in the West SNCL Reserve League. Langloan scored 169 all out with JB Houston Man of the Match Cameron Telfer taking a remarkable 7 wickets in 7 overs for Nunholm when introduced into the attack late on in the innings. Nunholm were 54 for 2 when rain also put paid to the game in the second innings. On Sunday Dumfries’s appearance in the Scottish Murgitroyd Twenty20 finals day in Glasgow suffered the same fate, cancelled due to a waterlogged pitch, with the finals now rescheduled for Sunday, 4 September. This Saturday APD Dumfries have no match in the Championship and Site Electrical Nunholm play away at Whitehaugh. It was more positive weekend for injured Tom McBride after Scotland Under 19s qualified for the U19 World Cup next year in Queensland, Australia. He will be hoping for a return to that squad after missing the tournament due to a broken finger. 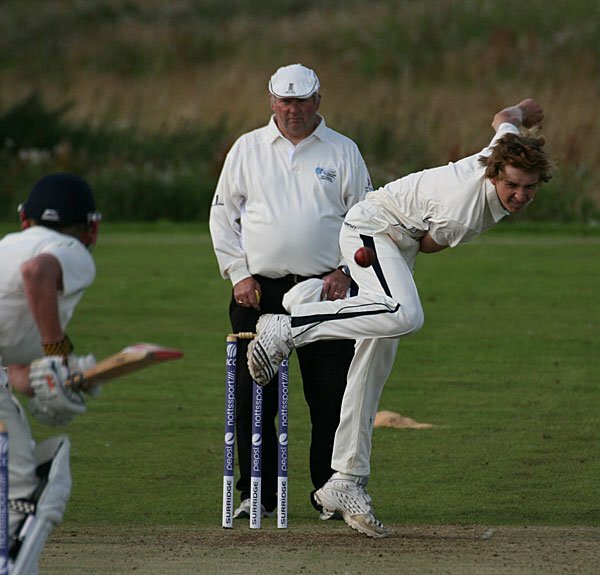 Meanwhile Niall Alexander helped Scotland U15s beat Ireland by six wickets in the European Championships at Stirling on Monday by taking 3 for 16 in the first innings. The club at Nunholm welcomes new players; senior, junior, women and girls. Senior training takes place on Tuesdays and Fridays and junior and women/girls coaching is on Monday evenings. For details contact Trefor Williams on 01387 256455 or see www.dumfriescricketclub.co.uk .